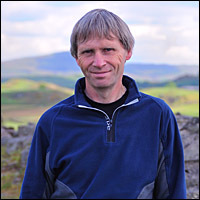 About Me: I started photography around 30 years ago, and became interested in landscape photography after seeing the work of Derry Brabbs in “James Herriot’s Yorkshire”. I then concentrated on monochrome photography for a while, aided by being able to use a darkroom at work, before returning to colour (35mm and medium format film), later “going digital”. I have had work featured in leading UK photographic magazines, and I am a contributor to Alamy & UKLandscape (on-line image libraries). Welcome to my GCU store! See below for a selection of customisable photo cards, mainly featuring my landscape photographs of the Lake District, Cumbria, Yorkshire Dales, Northumberland, and Devon. Any of the cards may be personalised with your own message inside, and are suitable for many purposes, eg Birthday Cards, Christmas Cards, Invitations, Sympathy cards etc. I have been taking landscape photographs for over 30 years. My work is available through a number of other on-line stores, notably Redbubble, Zazzle, and Photobox. Thank you to everyone who has visited, and viewed or purchased any of the cards, and for your wonderful comments! Contact me if you are interested in retailing any of my cards as I am able to buy my own cards for a lot less than the retail price. Alternatively, you might want to take advantage of the generous volume discounts. Absolutely beautiful, I love all of your images! you can certainly see your 30 years experience in your stunning, beautiful, awesome, photographs. I hope someone can fix this problem for all of us. Gorgeous and inspiring images, Dave! Stunning! You are an incredible photographer Dave! What a glorious gallery you have. I know your work will do very well on the fine greeting cards here at GCU. I'd like to welcome you and wish you well! I too am so happy that you've joined this fine community. Wonderful to see such stunning photography - I hope you will do very well, Dave! Wow! I love your cards. They are AWESOME! You have a wonderful talent! I'm so glad that you joined us here at GCU. Best of luck and lots of sales!